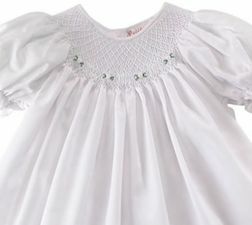 A beautiful white smocked baby infant girl gown with matching bonnet. 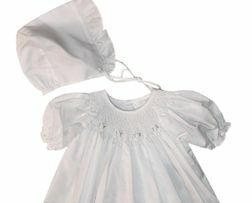 The gown has white rosebuds with little green leaves for accent. 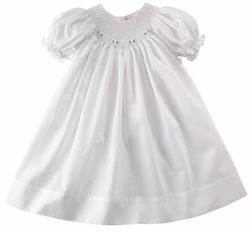 The gown is perfect for coming home, hospital pictures and shower new baby gifts.